Ep. 21. Pets as Friends! There are numerous benefits of having pets, but can pets really be seen as friends? Mary and Sienna look at research and share their own pet stories! 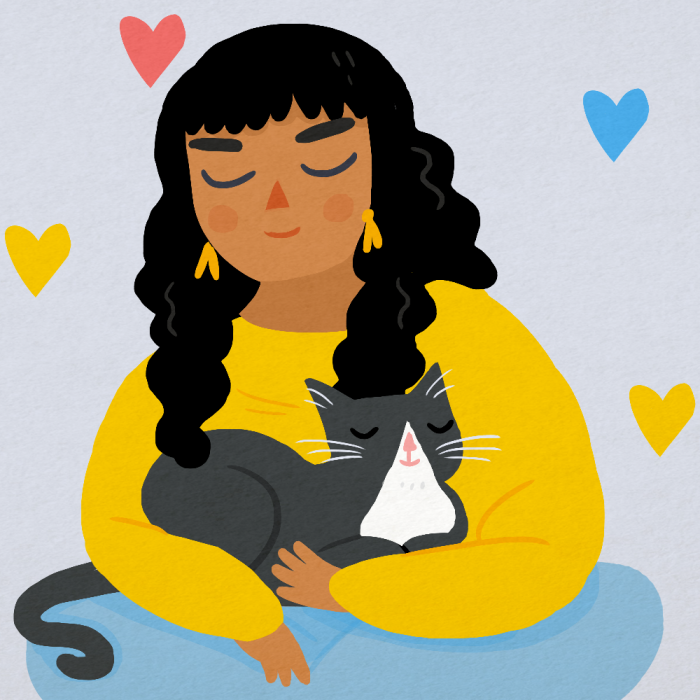 Whether you’re a cat person or a dog person, there’s no denying the many benefits of having pets. From offering comfort to providing an excuse to get out of the house and meet new people on walks, pets are great companions! Mary and Sienna talk in depth about their love of cats and they even swap cat stories! Although pets cannot offer advice or ask how your day has been, their companionship alone can be enough to help reduce stress and anxiety. According to the Mental Health Foundation, pets give owners a sense of security and they can even be valuable company for those in later life and living alone. Can pets be friends? The short answer is a resounding yes, but there are also a lot of things to consider before getting a pet. First of all, it’s important to make sure that you can afford to keep a pet and that your surroundings are appropriate for the type of pet you are interested in getting. Another step you can take to help you decide on the pet that is most appropriate for you is to research the type of pet you’re interested in and familiarize yourself with the pet’s needs. Knowledge is power when it comes to being a pet owner, and the more you know about the pet beforehand, the better prepared you will be to handle any problems that may arise later on. For more information about bringing home a pet, check out this article by PetsMD. Friends with Benefits: Pets Make Us Happier, Healthier by Allen R. McConnell for Psychology Today. Pets and Mental Health via the Mental Health Foundation.